TIFF started in 1976 as the “Festival of Festivals”, brining in the greatest films from other film festivals all over the world and screening them to excited audiences in Toronto. 35,000 fans watched 127 films from 30 countries in the first year. By 2009, those numbers have multiplied to feature 336 films from 64 countries, relished by 500,000 people. Today, people travel to Toronto specifically to be a part of TIFF, and when they do, they stay in Toronto furnished condos. Who could think of a better place to stay than inside the Festival Tower, also known as the TIFF building? 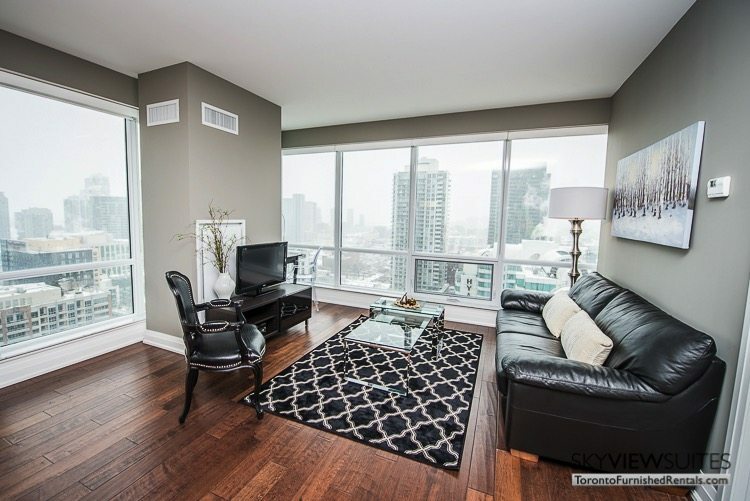 This suite is a two bed, two bath corner unit with wonderful southern exposure and floor to ceiling windows. Festival Tower is perched atop the Bell Lightbox which is home to the Toronto International Film Festival, and located at the corner of King and John Street, in the downtown Toronto core. This suite boasts a total of 1,118 square feet and includes a balcony with a remarkable view of the lake. 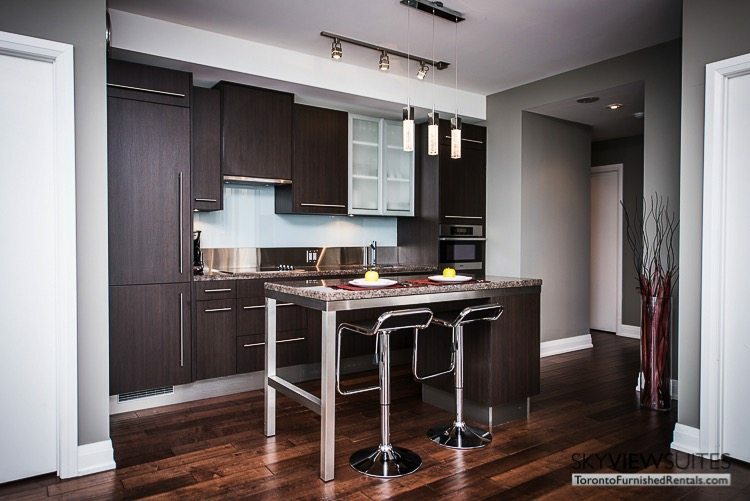 It is equipped with high-end Miele appliances and real hardwood floors; this unit is faultless for insightful clientele seeking to immerse themselves in Toronto’s budding film culture. The open concept layout is what’s most impressive; the grand living room has a cozy couch and faces the flat screen TV. On the right side of that is a work desk propped up against the floor to ceiling window so it has an amazing view. To the left of that is the dining area which holds a stylish set of four fire red chairs and a round table. Additional seating for two is available at the kitchen counter which is made from granite. Each bedroom has a queen sized bed and its own private bathroom. The building amenities include a business center, spa treatment rooms, a yoga/Pilates/dance studio, 24 hour security, an indoor pool with whirlpool and saunas, a rooftop terrace, a sundeck, a fitness centre and a 55 seat cinema. TIFF is a charitable cultural organization with a mission to transform the way people see the world through film. It is one of the most prestigious film festivals in the world, debuting a multitude of movies and attracting celebrities from Hollywood and all over the world. The 37th annual festival will be held this year from September 6th-16th. 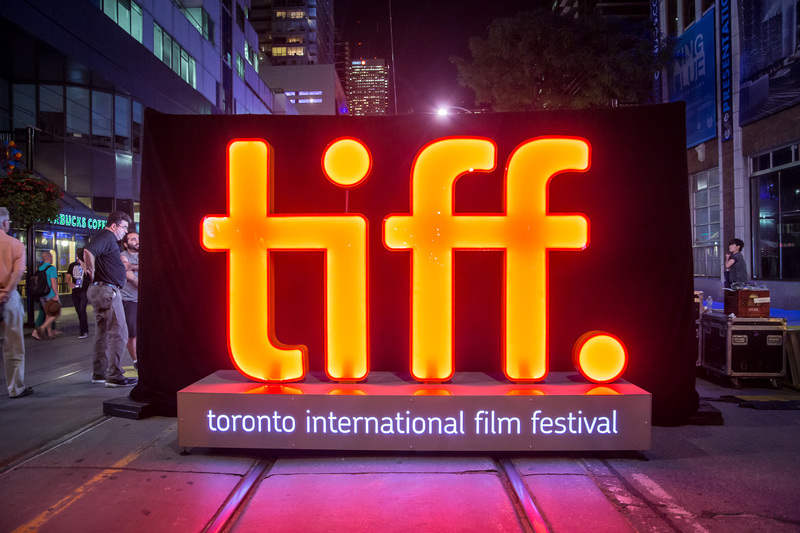 According to www.tiff.net, the Festival of Festivals was retitled the Toronto International Film Festival in 1995 and presented several of the world’s great film artists to Toronto spectators. The secret of the Festival’s success is its unique combination of two parallel festivals: one for a large audience passionate about film and one for the world’s press and industry. The Festival also manages to be the launch pad for both big Hollywood films and art house cinema from around the world. TIFF has grown, progressively adding initiatives. TIFF Cinematheque (formerly Cinematheque Ontario) and the Film Reference Library opened in 1990. TIFF Kids Film Festival for Children was established in 1998. Film Circuit began unveiling independent and Canadian films in underserviced cities across Canada in 1994. TIFF has continued being devoted to educating and increasing audiences, toting to the cultural fruitfulness of Canada’s community. Along the way, TIFF has become one of the most important and respected film institutions in the world. 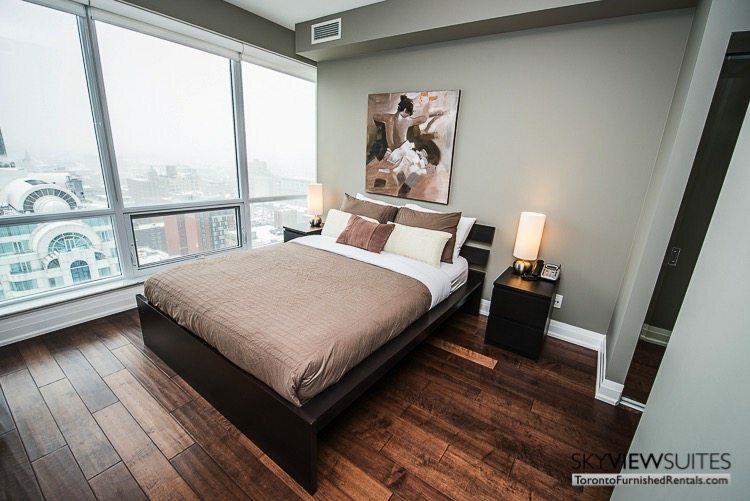 To make your Toronto accommodations, click here: Furnished Rentals.